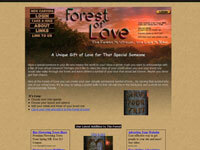 One of the first true database driven websites I ever built, before Content Management Systems were common, the Forest of Love is a monument to the love people feel for each other all over the world. Carving a tree in real life is a bit of a problem. You need a knife and a good tree, and it's not very good for the tree. Carving an online tree in virtual space is much safer, cheaper, and more environmentally friendly. The Forest of Love has long since been transferred to someone else, but it's still going strong using the same code I wrote almost 10 years ago. Egdsecrets.com is an e-commerce site designed to sell an electronic book about the casino industry. The site has sold over 10,000 copies of the book using a custom built shopping system and an interface with PayPal. Perhaps the most unique feature is the copy protection. When a book is sold, the PDF file is imprinted with a code that identifies the buyer and insures that it cannot be pirated. 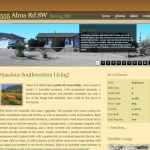 The perfect example of how just a few pages can make a difference, this site helped sell the featured home. While it's true that sites like MLS, Realtor.com, Zillow, and others can give a lot of good information about a home, nothing beats a custom website when it comes to selling your property. 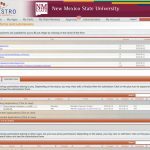 Maestro is a system far too large and complicated to explain in a short blurb, but it's saving NMSU hundreds of thousands of dollars. It's designed to facilitate research compliance when dealing with human subjects; no small task. Unfortunately you probably won't be able to see more than the front page since it requires a log in, but the entire program is several hundred thousand lines of code and is being used by over 1000 people at NMSU. Not bad for a single web developer. 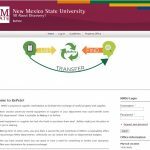 RePete is designed to allow users from NMSU to recycle and reuse materials and equipment. Many departments at NMSU need stuff, and many other departments have that stuff. RePete is a sort of NMSU Craigslist, allowing those folks to get together and put that extra stuff to good use. In the case of RePete, it's easy being green. This is just a small example of the dozens of sites and hundreds of web programs I've written over the years. Don't hesitate to get in touch if you think your idea or business needs to be on the web. I'm ready to add your site to my list!